'You can't please everyone - Not even chocolate can!' Today I speak to Akshaara Lalwani founder of Communicate India one of the fastest growing Marketing and PR companies in India. She started this business from her bedroom age 23 and now in the 8th year employs over 100 people has clients around the world and won a number of awards. So in this episode she talks about her amazing journey. Some of her favourite PR campaigns - including flying pizzas. You will learn about client relationships and how she measures success , and dealing with crisis management and finally some chat about Margaret Thatcher , sushi , Will Smith, Tequila, insects and eating pizza 14 days in row! "If you don't lead in your business you will bleed!" - Today I speak to Rajiv Talreja India’s Leading Business Coach and is the author of the International Bestseller called – “Lead or Bleed” So in this episode You will learn how to stand out from the competition. Mistakes entrepreneurs make. Examples of core strategies that you can use in your business. And why the customer is not the king! And much much more . So please enjoy the show. Thank you! As a little girl Pooja Dhingra was obsessed with desserts. Now she is the force behind the immensely popular Patisserie chain, Le 15 Patisserie in Mumbai. We talk about how she learned everything from scratch , the challenges she had to overcome. Building a brand. Her love of chocolate . The reality of being a celebrity chef. And finally find out what is her food heaven and food hell. It's truly an amazing story and one that will inspire you as well. So please enjoy the show. One billion underprivileged people have no access to footwear. This inspired my guest Shriyans Bhandari to start Greensole. This social enterprise takes used sneakers which would otherwise end up in a landfill and refurbishes them into sandals that get donated to hundreds of thousands of beneficiaries in India. Shriyans talks about his amazing journey from designing and manufacturing his first shoe to receiving the Forbes 30 under 30 social entrepreneurship award and receiving a letter from Barak Obama and much much more so please enjoy the show. He quit his job at ThoughtWorks 4 years ago. Became an entrepreneur with 0 experience in running a business. But he is still alive & kicking, and is doing very well. He now has a team of 9, close to profitable, and has over 25K+ developers on the platform. So in this podcast, he shares valuable insights from the last 3 years. That you can use in your business. So please enjoy the show. #106 'The Recycle Man of India' Dr Binish Desai Forbes 30 under 30 Asia social entrepreneur & founder of Eco-Eclectic on creating environmentally-friendly solutions to various problems. Forbes 30 under 30 Asia social entrepreneur Dr Binish Desai is my guest today. He is the founder of Eco-Eclectic. They create eco-friendly solutions for domestic and industrial waste by turning them into assets. Binish first dabbled with the idea when he was just 11 years old, experimenting with paper and chewing gum. Today the company has developed around 150 eco-products and recycled more than 600 tonnes of waste and he made the Forbes 30 under 30 - Social Entrepreneurs list. it's truly an amazing story and one that will inspire you as well! #105 'The Guru of Giggling' Dr Madan Kataria - Founder of Laughter Yoga Clubs- On why laughter really is the best medicine! Ha Ha Ha, Ho Ho Ho Ho, Hee Hee Hee! Today I speak to the founder laughter yoga club, Dr Madan Kataria aka ' The Guru of Giggling'. He started out in 1995 with 5 people and now has over 16000 laughter clubs worldwide in more than 100 countries. So in this episode, he talks about how it all got started, people, thinking he was crazy. And why laughter really is the best medicine even in the tough times. Also please stay tuned to the end to hear some audio of a laughter yoga expert with some exercises you can try at home. #104: How to get your first 1,000 customers in india - Anirudh Narayan - A growth specialist who has helped over 1000 aspiring entrepreneurs and 50 startups around the world! Today I speak to Anirudh Narayan author of an amazing new book called Scale Smart: How To Get Your First 1,000 Customers in India. 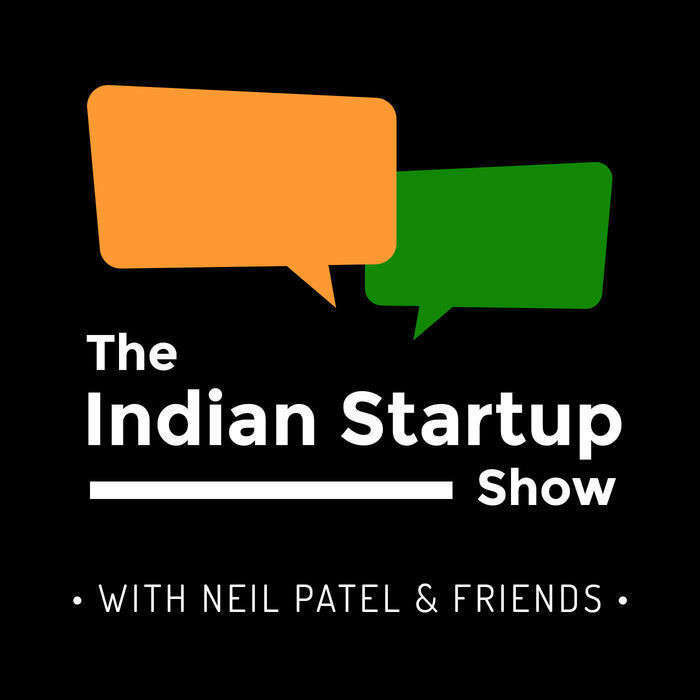 Scale Smart is an actionable guide to start and scale a startup in India., So in this podcast, we talk about great digital marketing strategies - Facebook, Youtube, Whassup, email marketing, etc you can use today to get your startup off the ground. We also talk about his time at Shutterstock with a 250K budget to life as a digital nomad in South America and much more! #103: Building the next Indian Superhero Universe! - Rajeev Tamhankar founder of TBS Planet a comic & animation startup. Happy New Year. Hope you have a great 2019. Today I speak to Rajeev TamHankar the Founder of TBS Planet. TBS Planet is a comics and animation startup. They have developed a range of comic books featuring Indian action superheroes. In this episode, he talks about how this got started. he talks about getting his inspiration from Indian mythology. he talks about attracting readers using Whassup, why his dad is his best & worst critic. Which Bollywood actors/actresses would be ideal to play the roles. He talks about his favourite superheroes and what superpowers he would like to have and finally some chat about the late great Stan Lee!